Alexander Pirie Stephen - from Mill Bay West, Hoy. 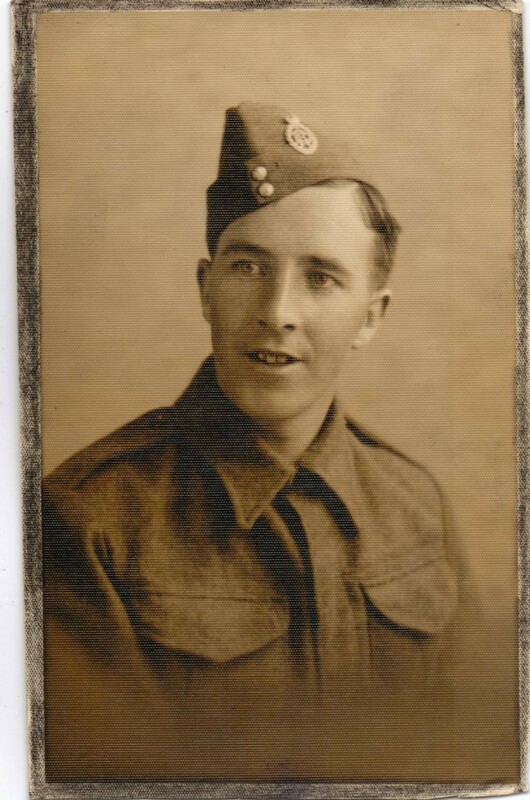 Photo of my Grandad who served in the Army Dental Core in WW2, mainly in Italy I believe. Did he have a son named after him? Yes he had a son of the same name, my Uncle, born around 1941. Also my mother Margaret (Rita) Stephen. Did you know my Uncle? Brian I think I knew your Uncle. Did he have ginger hair and was he at North Walls School around 1956/57? If that is the case then I did know him and always wondered what happened to him. My name was Margaret Thorburn and my dad was the headmaster of that school. I now live in Canada. Yes he had ginger hair and was at North Walls school but I dont know what years. He lived at Mill Bay. I think for most of his adult life he lived in Glasgow, initially in the shipyards but for most of his working life was a policeman and moved to Kilbarchan. He died in around 2005. Brian I am so sorry that he has gone. He was a very nice person and was always kind to the younger children - of which I was one at the time. Alex had an older sister who came to our school and taught us for a short time for practice while she was getting her teaching degree. I remember she was really strict:-)) Was she your mother?? Brian I meant Alexander Pirie Stephen jr was my uncle-in-law married to my Aunt Astrid who still lives in their house. To clarify Alexander Pirie Stephen Jr. was my Aunt Astrid's husband. She still lives in their house. Hello I am Clifford Roberts Stephen granddaughter . Danielle - Yes, Alex (pictured) and Clifford are brothers. Margaret - That's right Alex Stephen (pictured) had 2 children, Alex and Margaret (Rita) who was my Mum. Haha, yes was indeed strict! Clifford Roberts Stephen was a younger brother of Ally Stephen and Cliff did not have a grand daughter only a grandson called Magnus Stephen. The photo above reminds me very much of another brother of Ally called William (Billy) who was one of my uncles alongside Mattie (still alive) and another uncle called Jim (long since deceased who also lived in Glasgow). FYI Cliff Stephen was my father and he died in May 2015 in Kirkwall. Margaret Kelday was the mother of the above brothers. Ally (in the picture above) had brothers called Clifford, Jim, William and Mattie and sisters called Jean, Cathy, Meta, Vida and Helen. The only brothers and sisters still alive are Mattie and Helen. My late father was Cliff Roberts Stephen and he died in 2015 and I am his only daughter (he had 3 sons) and his only grandchild was called Magnus. I am not sure where someone called Danielle fits into the picture.